Mahjong is a Chinese game of skill, which involves four players. 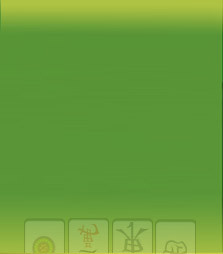 Although the game play in general is similar in all of the versions of mahjong, the game pieces and scoring, however, slightly differ depending on the regional variations. These rules are based on classical Chinese Mah Jong, which is no longer played in Asia, but is very popular in the European countries. Almost similar to gin rummy, the object of mahjong is to build sets, as well as get the highest point value. In order to do this, each player selects and discards tiles (the game pieces, bearing different designs) until an entire set of combinations has been made. So let's start the ball rolling (in this case, the dice), and begin playing mahjong. There are three suits, which run from one to nine. There are also three Cardinal tiles (Dragons or Special Honor Pieces), labeled as Red Dragon (matches with Character suit), Green Dragon (matches with Bamboos suit), and White Dragon (matches with Dots suit). There are 4 pieces of each Dragon.